My creative practice evolves from the notion of a ‘homeland”, utilizing everyday domestic materials to create work that conjures up the concept of home. Contemporary western politics, power and partisanship are investigated through the use of familiar media like quilts, US flags, stickers, temporary tattoos, found objects, sewing machines and various sewing notions. These materials are very accessible to most viewers and offer an important point of entry to the work. My work is best described as multidisciplinary, in both media and technique. I work in two, three and four dimensions. The theme of “Luminous Bodies” is timely and inclusive. It suggests more than the traditional figurative work championed by existing art historical canons. Instead, “bodies” allows for more nuance. I will work on a series of three wearable soft sculptures, specifically wigs made from various textiles. The first wig will be made from remnants of the US Flag, with long red, white and blue braids, not unlike Rapunzel and other fairy tales. A second wig, made from discarded and damaged quilt parts, will be constructed in a more Victorian or Edwardian form, with ringlets piled high, referential of Colonial influence in North America. Lastly, as time permits, I hope to start a Medusa wig, made from soft stuffed fabric snakes. The resulting wigs ideally exist as emotive objects for display AND interaction. I can see them worn, photographed and even performed. 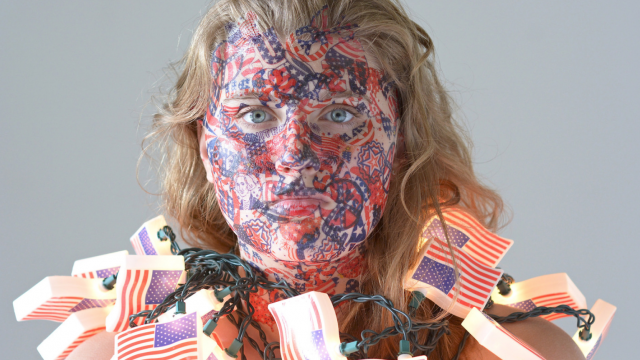 Melissa Vandenberg is an Associate Professor of Art at Eastern Kentucky University. She was born and raised in the Detroit and regularly visited Canada growing up. Many of her early visits to galleries were in Windsor and Toronto. 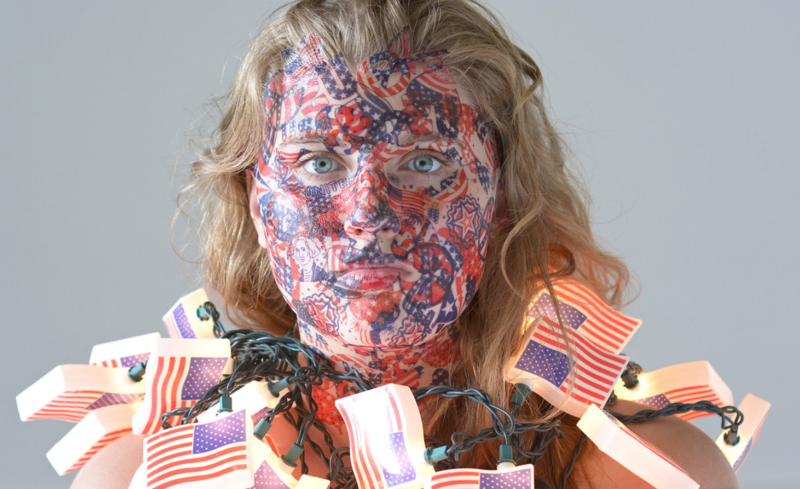 As an artist making political work, she believes it is important to visit other countries as part of the creative practice.